Exclusively Ours! An Allan Robin Design!! Cadmium, Lead & Nickel Free!! New! 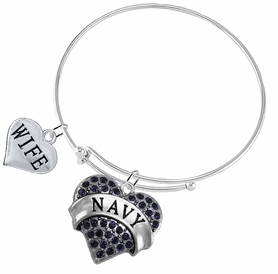 Silver Tone, Thin Adjustable Miracle Wire Bracelet Comes With Beautiful Navy Crystal Covered "NAVY" Heart Charm and Small "Wife" Polished Silver Tone Heart. 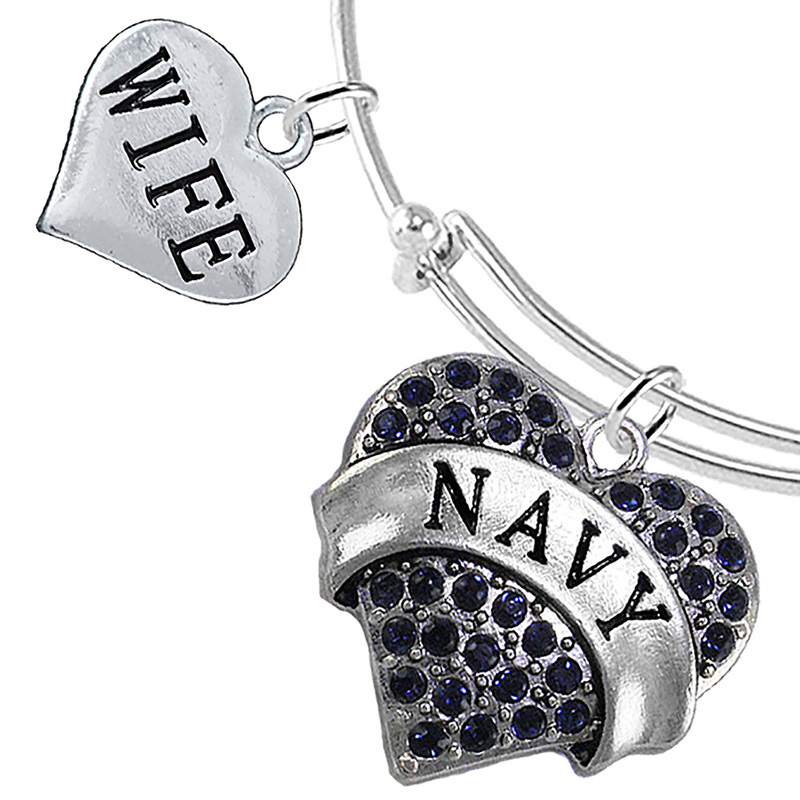 A Perfect Gift For Military Families.